Trainer: "Hey, long time no see, are you riding tonight?" 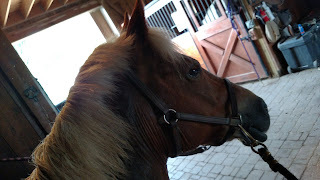 Me: "Well I was going to, then I got here and realized that if I don't pull his mane before Friday, you won't let me ride in the Jean Luc Cornille clinic." Uh, yeah. I have no excuses for this. So I hosed him and put two fans on him in the wash rack while I got to work. 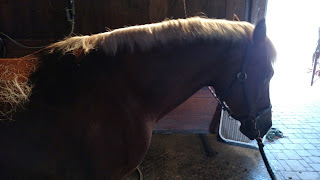 And ended up giving him a full bath and doing his tail too, because Nick's once again traveling for business (he's been working from home for the last seven months), so spending a long evening at the barn seemed like a good move. This is how we deal with 90F and 99.99999% humidity. If I wasn't 100% convinced he'd find a way out of a real stall guard, I'd ask to put one on his stall all the time, because I know he'd love it. But when he wasn't standing at attention staring at absolutely nothing, he was grabbing either end and shaking them, trying to undo the rope. Ponies! It was good to be home with him! He has so much mane! Yes! It's a Cob thing. He's such a super cutie! I would love to! 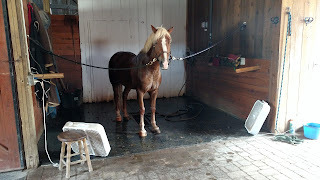 I don't mind mane pulling, as long as they stand nicely. CONNOR'S MANE IS ENORMOUS! I only need to pull every six months or so, and in between I can just trim up with clipper blade or even scissors (depending on lazy-tude) and it's the perfect thickness. 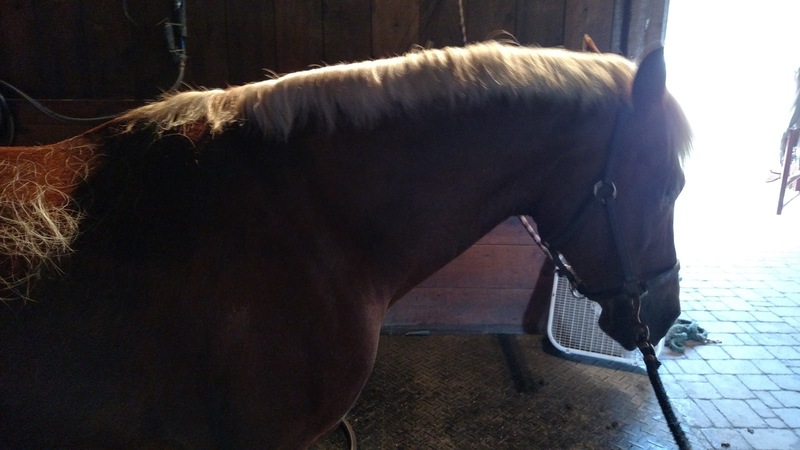 Connor's mane is absolutely enormous even after you pulled it!! Wow, I am so jealous! 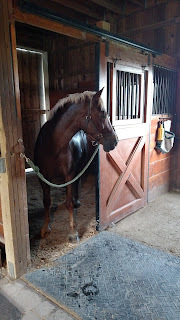 Connor's was just pulled, albeit somewhat long, a month or so ago when I taught my favorite barn rat how to pull manes. I'm sure the little guy was grateful to have all that hair off his neck in this heat! So much hair! What a cute little guy though. Hope the clinic goes well!